The risks to bicyclists go beyond cars and trucks on the road. Too often, serious and fatal bicycle accidents are caused by a defect in the way a bike is designed or built. The lawyers at The Law Offices of Frank L. Branson work to hold bicycle retailers and manufacturers liable when defective bicycle design or defective bike manufacture leads to severe head and brain injuries, spinal cord damage, broken bones, road rash, death, for example. Our attorneys are not only effective, they treat each client or family member with care and compassion. 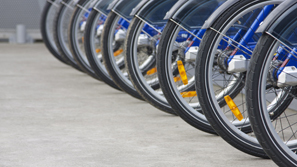 Dallas attorney Frank L. Branson is one of the nation’s leading product liability lawyers, and he understands the laws and regulations covering bicycle design and construction. His team of lawyers, medical professionals, and manufacturing experts work to investigate the true cause of bicycle accidents and win fair compensation for cyclists and their families. To learn more about our experience in defective bicycle design or defective bike manufacture matters, we invite you to contact the firm here.